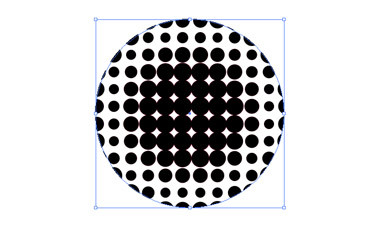 In this tutorial you will learn to create dots from a circle in Illustrator CS3. 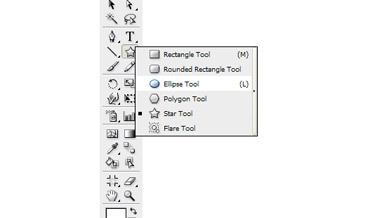 Open a new document. 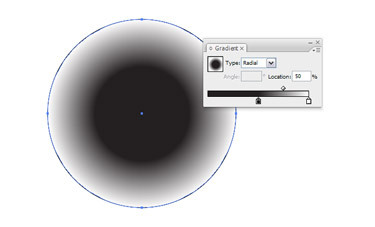 Using the Ellipse tool create a circle. Using the Swatches window, give a gradient colour. 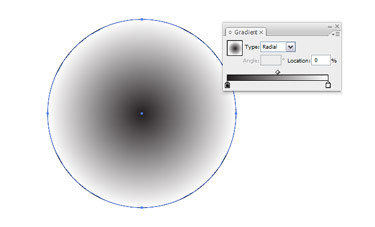 Now modify the gradient colours as shown below. 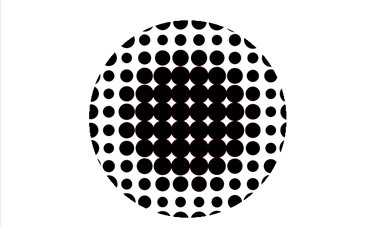 You have to move the black colour to the middle. 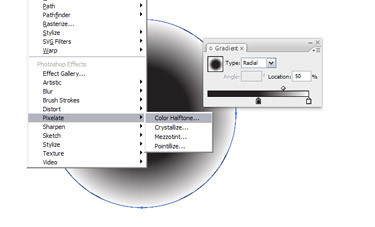 Set the following settings for the Colour Halftone window. 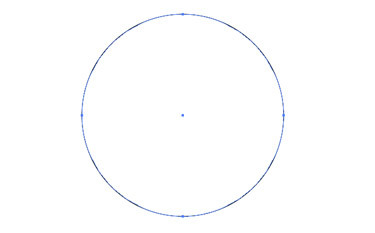 To make the dot more interesting, expand the dots. 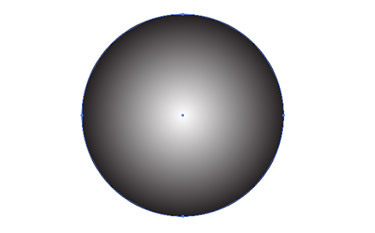 This is the image that you will get.